This award-winning weekly video series produced by Delaware Sea Grant covers topics ranging from how the ocean works, to sea critters that call Delaware home, to local environmental issues - all in 15 second bites! Sea Talk public service announcements featuring Delaware's marine resources have played monthly on local radio stations for more than 30 years! A collaboration with the National Science Foundation Center for Dark Energy Biosphere Investigations, Project VIDEO combines video and virtual reality to take viewers behind-the-scenes of how scientists are exploring life in the depths of the ocean. Our monthly wallpaper calendars feature Delaware's natural beauty, provide information on local flora and fauna, and highlight environmental holidays. Follow us on social media to catch our latest multimedia episodes and calendars! 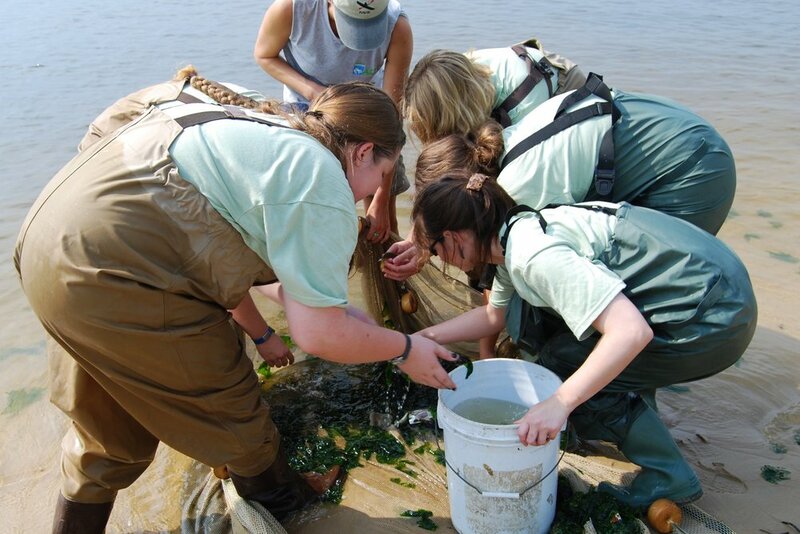 This partner program with the University of Delaware College of Earth, Ocean, and Environment enables students to explore the microscopic world of Delaware Bay zooplankton. Find lesson plans and helpful tools collecting and analyzing your own zooplankton samples! Examine environmental observing data and a radar loop to identify sea breeze fronts and discuss the implications of ongoing sea breeze research. Use ocean observing system data to investigate why water acts as a thermal buffer and the practical applications of water's high heat capacity.